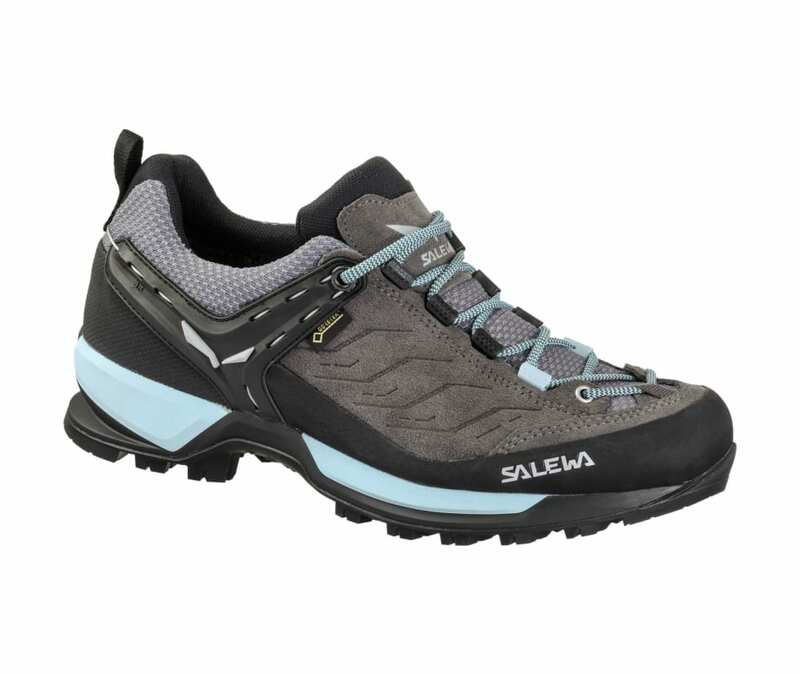 The Mtn Trainer GTX is an alpine approach shoe designed for technical hiking, via ferratas and trekking. Its versatile and multifunctional Vibram Mtn Trainer Evo outsole provides confidence and stability in difficult terrain. The deep, self-cleaning grooves and aggressive lugs guarantee good grip on rock, scree and via ferratas and optimal traction on mud, grass and snow. In the midfoot tread area is a via ferrata zone with specific right-angled lugs that maximise force applied through the foot. They ensure better grip on the rungs of via ferrata ladders than a conventional flat midfoot section. The robust suede upper has a 360 protective rubber rand and a GORE-TEX Extended Comfort lining for durable waterproofing and optimized breathability: water stays on the outside while perspiration can easily escape from the inside. Inside the shoe, the Bilight TPU midsole provides improved and long-lasting shock absorbency and rebound.